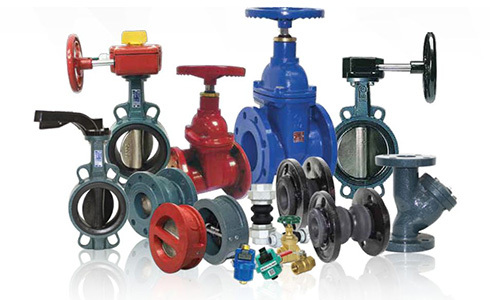 Newflo Corporation Sdn Bhd was first established in March 1994, principally engaged as importer and distributor of valves, Pressure Gauges, Thermometers, Fittings, Flexible Joints, etc. based in Selangor, Malaysia. We are specializing in the field of Fire Fighting, HVAC, Plumbing, Water Works, Water Treatment, Food Industries, Oil & Gas, Chemical Industries, etc. Seeing the great opportunity and bright future of the products, we put all effort in providing the best service to our customer and are able to develop into large scale trade in the local market and international as well. Seizing the expansion of a new factory situated in Balakong, Newflo Corporation is able to cater on marketing distribution network and to attend to the higher demand for our range of products. Newflo emphasizes on the quality of products as the most important competitive requirement. The Company focuses not only on the quality products but also quality service and competitive prices. Expanding Newflo’s regional strengths and market leadership in our core areas of expertise, with steady and promising progress. To remain true to our fundamental values of offering first class customer service, high quality and reliable products for market’s needs today and also in the near future. To support a comfortable and safe environment for human life through the making of piping system and equipments related products.